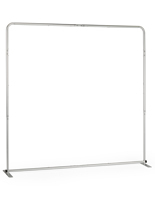 This retractable safety barrier provides a wall mounted crowd control option well suited for maintaining order and structure. 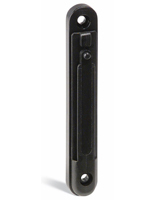 Simply affix the steel cassette with a matte powder coating finish to a desired surface using the included hardware and begin restricting areas. 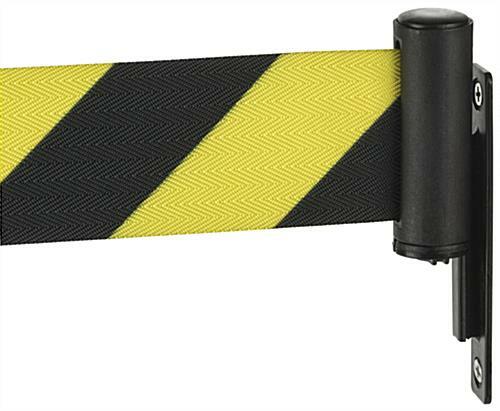 Equipped with a 3 way adaptor, each yellow and black diagonal striped safety barrier is compatible with our QueuePole.Economy Series stanchions. 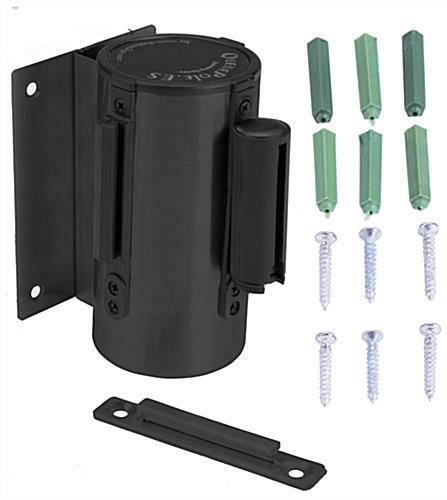 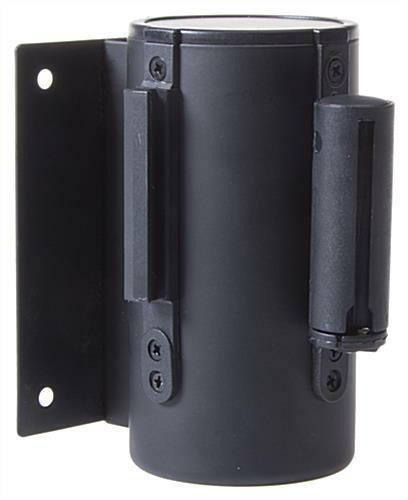 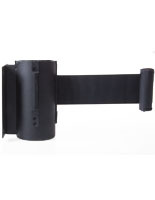 Either connect the 8.2’ long nylon belt to the coordinating wall mounted receiver, or create configurations with additional floor standing post barricades. 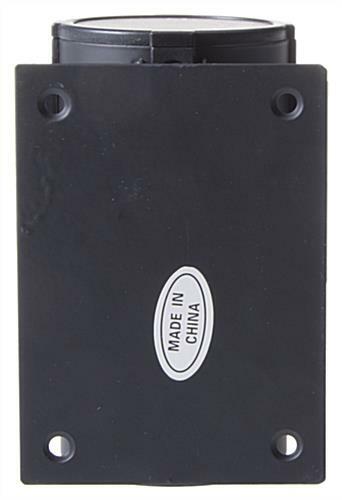 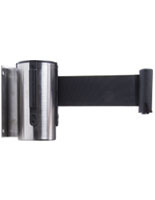 Designed with a locking mechanism by merely twisting the bottom of the adaptor once attached to the receiver, there is less of a chance of accidental tape release. 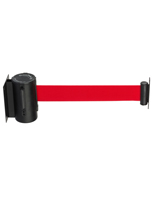 Ideal for parking lots, dealerships, loading docks, warehouses, and restricted areas each safety barrier provides a crowd control option that is easily visible with a vibrant belt coloring and composition! 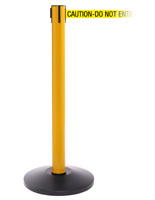 Please Note: If attempting to configure with additional floor standing posts, this unit is compatible with QueuePole.Economy Stanchions ONLY! 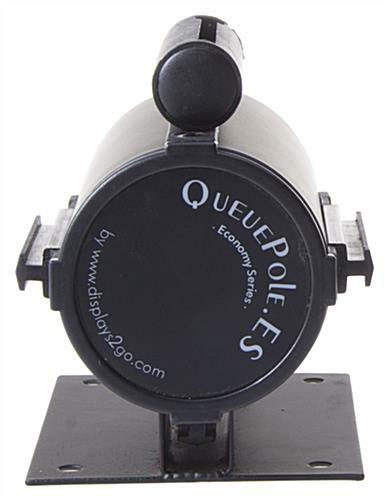 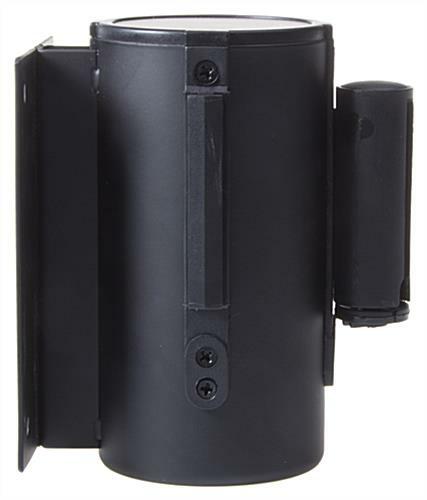 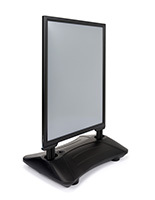 Adaptor fixture is not compatible with any other QueuePole Stanchions or crowd control options shown on Displays2go. 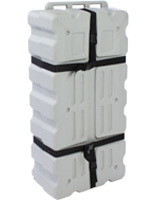 3.3" x 4.9" x 23.8"